How much do your children know about AIDS? Group of multiracial children. Talk about AIDS with your children. our children need an understanding of what it takes to be healthy. Schools can play an important role. If you’d like to know how you as a parent can be more involved in your school’s curriculum, call 1-800-342-AIDS for information. For the hearing impaired, 1-800-AIDS-TTY. Order number: P143. CDC National AIDS Clearinghouse, Catalog of HIV and AIDS education and prevention materials September 1994, p. 19. 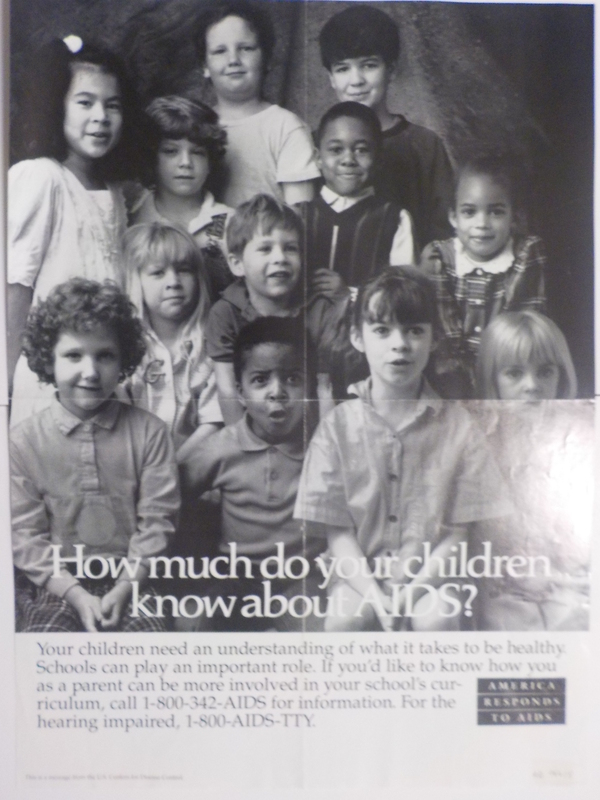 Children of many nationalities are featured in this poster which encourages parents to talk to their children about AIDS.